This was our second attempt to get to Valley of the Moon. We opted to stay high and camp in the mountains on our first trip. The road into the valley was too gnarly. I'd been looking forward to another shot ever since. A fairly desolate spot to begin with really clears out with the hot weather. We had the valley to ourselves. This year's odd weather in San Diego has made planning trips less definitive than normal. July was the wettest on record, mostly due to the remnants of Hurricane Dolores, and we got hit again in September by the left overs from Hurricane Linda, resulting in our third wettest September. In between all the rain, it's been hot. October turned out to be the hottest on record. Headed into the weekend the forecast was calling for 96+ degrees. Rather than call off the trip, we pushed back travel times. We left San Diego around 1PM, later than usual, and hit In-Ko-Pah Park Road off interstate 8 around 3PM. This gave us enough light to navigate into the Valley as temperatures were falling. We ended up scoring. It wasn't easy but we made it into the valley, which was empty. The hot weather had kept others away. The night was super comfortable and the full moon lit up the valley. 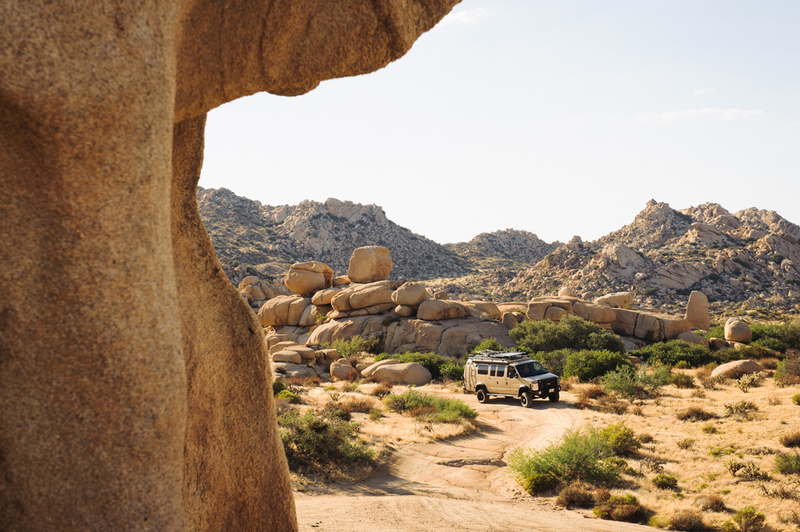 Joshua Tree is an all-time favorite but Jacumba definitely rivals it in natural beauty with no crowds. A must see for San Diegans. Golden Cholla cactus, as mean as they come. Hot weather leads to perfect nights.